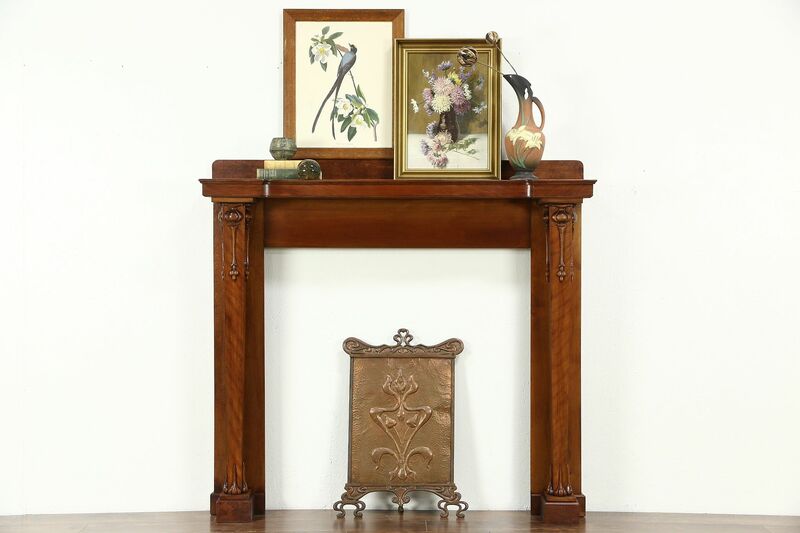 A fireplace mantel is architectural salvage from a 1900 era Chicago home, hand carved during the Art Nouveau period. Solid birch hardwood has an excellent restored finish on this American made antique furniture. Tapered columns have three dimensional adornments. The fire opening is 41 1/2" square. Measurements are 59 1/2" wide, 11 1/2" deep and 55 1/2" tall.